The Bear Valley area as we know it today was originally called Grizzly Bear Valley, so named by O. B. Powers in August of 1855. Powers led a scouting expedition funded by business interests in Murphys, Angels Camp, and Stockton, to seek a trans-Sierra route. There was already a haying operation here then, by a Smith & Company. The name was never formal; it was referred to as Stanislaus River at Road House, Blood’s Station, Blood’s Toll Station, or Grizzly Bear Valley. It was probably called Bear Valley all along too, but the first written designation of this as Bear Valley found is a stagecoach itinerary from 1869. There are tales of notable personalities such as Jedediah Smith who came through the area in 1827 and Major John Ebbetts who came into the area in 1850. They were no doubt the first white men in the area. “Major” John Ebbetts was a 33-year-old mountain man who was hired as a guide to get a party of New York prospectors over the Sierra Nevada and into California. In 1853 John Ebbetts led a survey party back into the vicinity of the pass named for him in an attempt to locate a possible route for a transcontinental railroad into California from the east. Grizzly Bear Valley came into prominence when this trail route, as identified by Ebbetts, was developed into a wagon trail by a group of businessmen from Murphys. With the eventual extinction of Grizzlies and after Harvey Blood established a toll station and service facilities, the area was known as Blood’s Station at Bear Valley for over 40 years. Harvey’s Daughter, Reba, became well known as she baked pies and brought them to the road workers in the area. They named a distant peak after her Mt. Reba, hence the original name of the ski area in the late 1960′s. In 1910, the road ceased to be a toll road and became a free state road. Harvey Blood died in May, 1910. For a number of years after his death, Louis Lombardi, his friend and Calaveras county cattleman, operated Blood’s Station. Lombardi ran cattle in the Bear Valley area for 70 years. The Blood Family sold all of their holdings to the Bishop Mining and Cattle Company in 1920. In 1952, the Orvis family of Farmington purchased 480 acres of property in Bear Valley from the Bishop Company. William and Grace Orvis built a large log cabin and lived in Bear Valley during summer months while their cattle grazed on the lush meadow, an activity that occurs still today. The holdings were logged out in the late 1950s not only to produce revenue but also to protect the area from fire danger and open the tree stands for increased grass production. The first development occurred in 1955 when the Orvis family subdivided 20 acres on the north side of Highway 4 into 60 lots with roads and water supply. Residential progress largely happened due to the demand by friends and family of the Orvis’. Bruce Orvis Sr., son of William and Grace, always envisioned a winter sports complex for the area. In 1963 he acquired 400 acres of Forest Service land to the north of the Orvis property through a land exchange. He then put together a ski area package for Mt. Reba under Forest Service permit and promoted a new highway from Camp Connell to the ski area. After years of convincing, road construction began on Highway 4 to access Bear Valley the same year. After he acquired title to the land north of the Highway he developed the 400+ lot subdivision, the Bear Valley Lodge and other installations as we now know them. At the time, Lodges, condominiums, parking areas, tennis courts and air strip, sewer system and water system, etc. were also developed along with the Mt. Reba Ski Bowl complex. The area opened its lifts to winter visitors in the winter of 1967-1968. By January 1968, there were 125 winter-summer homes in the subdivision and several thousand skiers visited on weekends. Bruce Orvis’ dream, Mt. Reba Ski Bowl, became reality through the collaborative efforts of two companies, Mt Reba Inc. and the Bear Valley Development Company. Virgin land was transformed into a winter playground in a way that preserved the natural beauty of the Sierra and answered the growing demand for recreation areas. Orvis and a score of individuals spent several years cooperating with U.S. Forest Service, State Division of Highways, Calaveras and Alpine Counties and their chambers of commerce to create Mt. Reba Ski Bowl. The Bear Valley Village design placed a network of roads and future home sites in a way that retained the natural landscape and conserved the towering pines. With the help of forester Harry Schimke and lumber mill operator Maury Rasmussen, Bruce Orvis and company launched Mt. Reba Ski Bowl, offering three lifts and a 25,000 square foot main lodge for skiers its first season. Bear, Cub and Grizzly Chairs were in operation gave access to a wide variety of terrain during Mt. Reba’s first season. Maury Rasmussen was appointed general manager of Mt. Reba Inc. and assembled a staff including Rick Carney as head of ski school and Don Brooks as racing boss. Racing was on the incline in those days and In 1969 Mt Reba Ski Bowl hosted the Senior National Alpine Ski Championships. Koala Chair was added in 1968, Super Cub Chair in 1970, Kodiak Chair in 1973 and then Hibernation Chair in 1976, opening an additional 150 acres of terrain on the west side of the mountain, today is referred to as the Backside. In 1981, two triple chairs, Kuma and Pooh, were added to service the growing demand and spark consumer interest. After Maury Rasmussen’s death in 1980, his family continued running the resort with Dennis and Bonnie Rasmussen leading business movements and Clayton Rasmussen managing outside operations, guest services and a variety of other areas. Ginger Rasmussen, Clayton’s wife, had oversight of the retail operations. Mt. Reba Inc. took over operations Bear Valley Village, the Lodge and other properties, in 1984. In 1990 Mt. Reba/Bear Valley sold those same properties to TBI-TBH Partners of San Jose, California. In 1987, Chuck Toeneskoetter & TBI purchased the meadow land, excluding a 160 acre tract in the southeastern area that was retained by the Orvis Family. 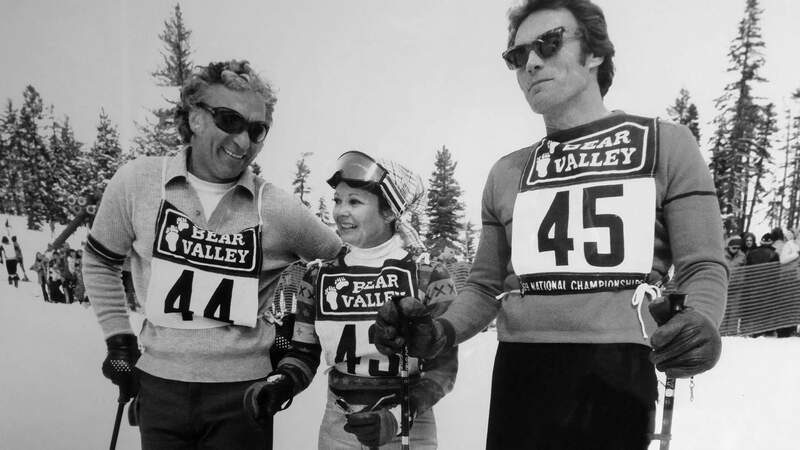 In June of 1991, Jim Bottomley purchased Mt Reba Inc. from the Rasmussen’s and renamed it Bear Valley Ski Company. Jim, president of Bottomley Distributing Inc., an Anhueser Busch distribution center in Milpitas California, ran the beer business for over 30 years. Jim and his family spent vacations in the Stanislaus National Forest area camping, hiking, fishing, skiing and had a strong appreciation for the outdoors. Jim Bottomley promoted a service business philosophy. He brought his wife Jane and sons Tim and Eric into the business and retained the experience of Clayton Rasmussen as mountain manager, Ginger Rasmussen as retail manager, while Bonnie and Dennis Rasmussen remained one season to assist in the administrative, sales and marketing transition. Immediate action was taken to improve the resort’s facilities and perform much needed deferred maintenance in outside operations; chair and surface lifts, to the vehicle maintenance shop, to busses, to snow cats. In the first season, Bottomley brought a tired resort day lodge back to life with a new 4000 square foot sunroom as overflow guest seating for the main cafeteria, 425 sizable season lockers, a new and expanded retail shop and a renovated cafeteria with a fresh menu to compliment. In addition, a snowmaking system was installed covering 30% of the mountain -this was a critical move as the resort was attempting to recover from severe drought conditions in the late 1980′s and would help to guarantee early season openings. Most importantly, Bottomley made an aggressive move in lowering adult lift ticket prices by 30% to $25 in order to persuade straying visitors to come back and experience the resort’s overall facelift. Over the next decade, Bear Valley continued to make guest oriented improvements; an exclusive snowboard rental/lesson center, new snow cats to provide better snow surfaces, machinery to build half-pipes and terrain parks, expanded children’s lesson center, 10 acres of existing run widening and 2 new ski runs. Despite Bear Valley’s ongoing marketing efforts, the skiing population grew older, and snowboarding, which was said to have saved the industry in the mid to late 1990s, began to trend flat. The pricing lure of the early 90′s proved successful for a few seasons resulting in strong skier visits, however the “high speed quad & six pack chair lift era”, along with the “season pass wars” that many resorts under larger corporate umbrellas benefited from during the past decade, resulted in sluggish performance at Bear Valley’s ticket windows. Bottomley was nearing retirement at the distributorship and after a decade in the ski business, he was ready to move on to traveling, working on his ranch and spending more time with family and friends. Several sizable resort industry, real estate companies and wealthy individuals expressed interest in acquiring the mountain between the years 2000 and 2003. Negotiations ensued with Dundee Corporation, a Canadian based real estate development firm and parent company to Arapahoe Basin in Colorado. In addition, POWDR corp., whose major resort holdings include Park City, Mt. Bachelor, Alpine Meadows and Boreal diligently worked toward a purchase in the summer and fall of 2001. Neither escrow resulted in a sale but the process of preparing the business for sale gave the Bottomleys insight on several critical matters; complex issues surrounding water rights in Bear Valley for snowmaking topped the list. While working on the water problem with state, county and the privately held Bear Valley Water Company to formally gain water rights, the Bottomleys forged on with future resort planning. On July 17, 2003, Jim Bottomley passed away after complications from by-pass surgery. Tim Bottomley, the eldest of two sons, became company president and emerged as the leader of Bear Valley’s family tradition of mountain operations. Eric Bottomley contributed significantly to Bear Valley’s summer equipment rental program, estate property management and during winter to the snow sports programs. A former ski racer, Eric is a board member of the Bear Valley Snow Sport Education Foundation and coaches a group of athletes bi-monthly during the winter. Under Bottomley’s direction, Bear Valley reenergized it’s commitment to families enjoyment of snow sports. The resort added 205 new season lockers to meet the continued demand for on-mountain convenience, added a 1200 square foot sundeck to the Monte Wolfe Saloon (overlooks the spectacular Mokelumne Canyon), constructed a new children’s ski/snowboard center, installed a carpet lift to improve the ski/board experience for first-time customers and beginners, maintained two terrain parks, brought retail sales of ski/snowboards back to the mountain and built an in-ground half pipe. Bear Valley worked cooperatively with the Forest Service to offer a tubing hill for 2004-2005 season. Through ongoing diversification featuring snow play activities, effective marketing and sales efforts, long and short term planning for more efficient operation; Bear Valley Mountain Resort entered into a new era of family-centered winter recreational service, creating fun and wonderful experiences for generations to come. Excited about the prospect to own and manage Bear Valley, Dundee Realty USA, LLC with San Jose Partner TBH and Palo Alto based Radar, announced the purchase of Bear Valley Ski Co. on July 20, 2005. Under the partnership, the vision for Bear Valley was clear: improve and redevelop the ski area, build a lift that connects the Village to the Mountain and construct new accommodations and retail space in the village at the base of the lift. These initial upgrades are just the beginning of a broad master plan to redevelop the area, with a clear focus on maintaining Bear Valley’s unspoiled beauty and family-friendly appeal. The partnership began the redevelopment process immediately after purchase. The initial plan called for a revitalized ski area and village that had the potential to be fully realized by the 2013/14 season. New lifts, accommodations and a pedestrian village was all part of the plan. However the partners process was stalled many times over the course of the next 7 years by private groups, local agenices and neighboring counties. With support from Bear Valley businesses and those along the Highway 4 corridor as well as many homeowners in the area, the partnership continued to invest millions to satisfy the demands of a variety of organizations and diligently worked through the various “roadblocks” to receive approval for a master plan. In December of 2012 the group finally received the entitilements to move forward. In January of 2013 the partners put their investment out to the market looking for a partner or new owner ready to invest in Bear Valley and realize a vision in the making long before they arrived. The current master plan includes new accommodations, ski area improvements and a lift from the village to the ski area. Shortly after successfuly acquiring entitlements for the master the plan, the partnership began to show the property to potential investors. In August of 2014 Skyline Development entered into a binding agreement to purchase Bear Valley Mountain. The purchase of the ski area was completed on Dec 19th, 2014 and Skyline Development was officially operating the ski area and managing village operations. The first season for Skyline was a tough one as California entered it’s fourth year of drought and one of the worst winter seasons in California history. Skyline began to focus on summer operations as talks of El Nino began to emerge for the 2015/16 season. As 2015/16 approached it was clear that abundant snowfall would hit the region and Bear Valley once again enjoy one of the best winter performances since opening in 1967. At the end of the season, the resort began to focus on summer operations with the opening of a new summer adventure park that features a rock climbing wall, bungee trampoline, pump track, ropes course and a variety of fun games for the entire family. The adventure park is situated adjacent to the Bear Valley lodge pool and families have the opportunity to enjoy summer mountain recreation in the village and around the area.